Thomas Hummel will defend you in court against any accusations. If you are looking for an English speaking criminal lawyer in Munich, Thomas Hummel can help you. He has many English speaking clients and can defend you against all criminal charges. But there are also crimes that do not exist in other countries, such as insult or certain tax offenses. Legal infractions of a lesser severity are dealt with by the „Ordnungswidrigkeitengesetz“, literally „law on actions against order“. Here only a fine can be imposed and the consequences in general are not as strict. Some accusations, especially traffic violations, can either be an Ordnungswidrigkeit or a crime – the nature depends on the special circumstances of the deed. For example, speeding as such carries only a fine. But if gross speeding endangeres others, it may become a crime leading up to a prison sentence. When a prison term is handed out, this doesn’t always mean incarceration. Many sentences are suspended for a probation period of two to five years. Of course, everything you tell your lawyer remains under the seal of confidentiality. In no case may he tell other people, not even the prosecutor or the court, what you have told him. A German court trial can be complicated, especially if you are not familiar with the (legal) language. In less serious cases, it is also possible for the prosecution to close the case – against conditions such as a payment in cash or social services or even without any sanction. Often it is in the very interest of the accused to get out of the case without a public trial in court. The chances are often not bad, especially with everyday criminality and a competent defense lawyer in the preliminary investigation. Therefore, from the first day of the mandate, your lawyer will strive to bring the process to a conciliatory end. Lawyer Hummel can give you first hints in a free preliminary talk by phone or e-mail. In a detailed initial consultation in his office in Gröbenzell or in Munich-Pasing he explains the further process. After analyzing the prosecutor’s files, a competent defense can be planned. 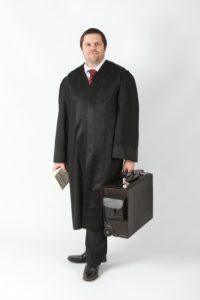 Lawyer Thomas Hummel also represents you in court – if necessary, nationwide.